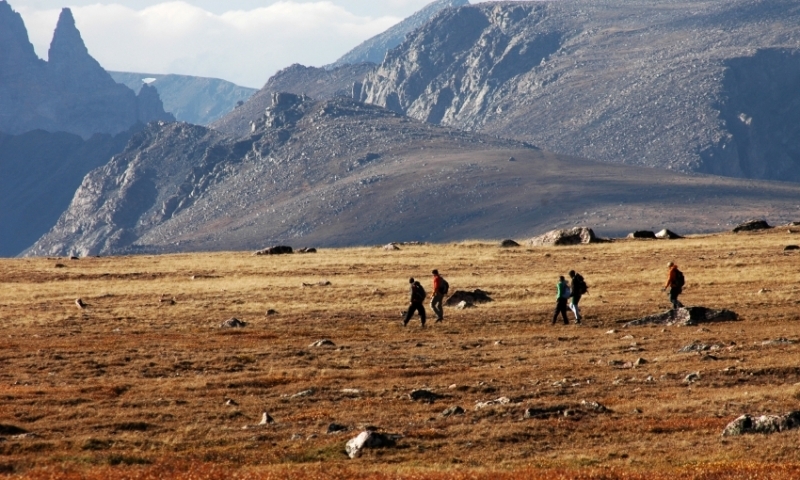 Take a look at these hiking trails along the Clark's Fork near Cody, Wyoming. The Clarks Fork Ranger District includes the Beartooth Loop trail - a designated National Recreation Trail. Trailhead, Access and Other Information: Access via Crandall Trail (located S of Crandall Ranger Station on WY Hwy. 296). Horse facilities available at North Crandall Trailhead. Trailhead, Access and Other Information: Access via 1) Crandall Trail (located S of Crandall Ranger Station on WY Hwy. 296)--travel along Crandall Trail approx. 7 mi. to intersection. 2) Alternate trailhead--North Crandall Trailhead (WY 296 W of Crandall Creek bridge.) Enters along Yellowstone NP via Bootjack Gap/Upper Miller Creek. Trailhead, Access and Other Information: Located just off WY Hwy. 296, 1/4 mi. W of Crandall Creek bridge 1pma1 Crandall RS. Tremendous views of Hurricane Mesa and North Crandall drainage. Travels into along Yellowstone NP/Cache Creek (not maintained). Trailhead, Access and Other Information: Located S of Crandall RS 1pma1 E of Crandall Creek on WY Hwy. 296. Alternate access - N Crandall Trailhead. Travels into along Yellowstone NP via Timber Creek* and connects w/ Upper Miller Creek Trail. *Dangerous talus slope -extreme caution w/ horses. Trailhead, Access and Other Information: Access directly across from Crazy Creek Campground - 10 MI E of Cooke City, MT on US 212. Trailhead, Access and Other Information: Access at Island Lake Campground - 27 MI E of Cooke City, MT on US 212. Trailhead, Access and Other Information: Access via 1) Night Lake Trail--intersects after 2.7 mi. or 2) Beartooth Trail #619--intersects after 1/2 mi. Trailhead, Access and Other Information: Access: Travel 38 MI W of Red Lodge, MT on US 212 or Recreation Trail 16.5 MI NW of Cody, WY on WY Hwy. 120 to Sunlight Basin Road--51 MI to US 212 junction. Continue E on US 212 to one of the following trailheads: 1) HAUSER LAKE TRAILHEAD - located along Beartooth Hwy. N of Hauser Lake. 2) Gardner Lake Trailhead - located along Beartooth Hwy. above Gardner Lake. 3) Dollar Lake Trailhead - accessible by 4WD or motorbikes; located at Dollar Lake. Trailhead, Access and Other Information: Access: WY 120 NW of Cody, WY to Sunlight Basin Rd--follow for 21 MI to signed trailhead. Junction w/ Dead Indian Meadows Trail. Not recommended for pack animals. Trailhead, Access and Other Information: Trailhead across from Dead Indian Campground on WY Hwy. #296. Follows Dead Indian Creek to Dead Indian Meadows. Ends several miles short of headwaters.